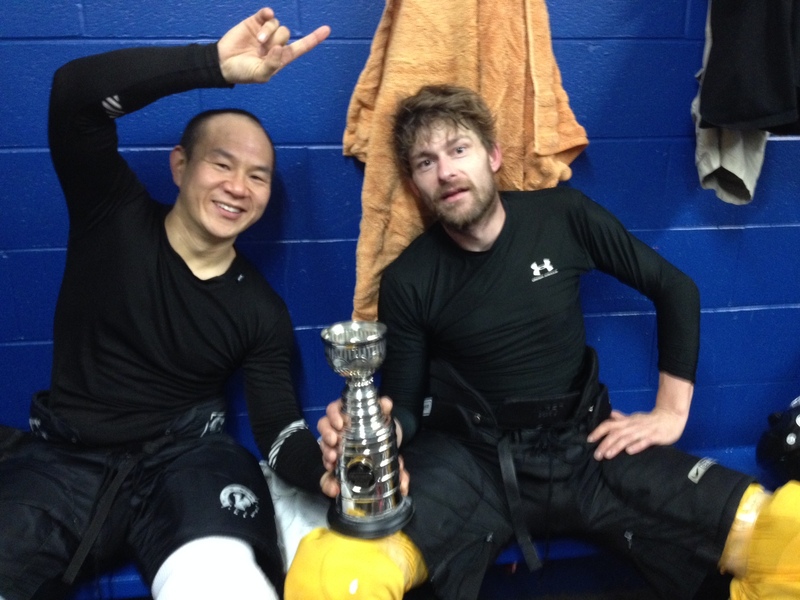 BENCHWARMERS WIN THE TRUE NORTH CANADA CUP! 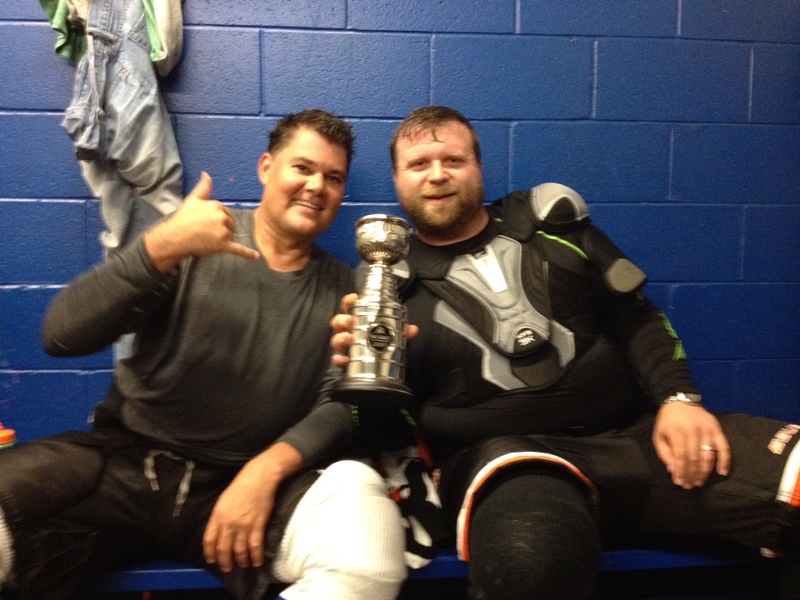 SUMMER 2015 ELLIS DIVISION CHAMPIONS! In a match that will be referred to as one of the most incredible come-from-behind victories in the history of the Monday Night Ellis Division Championships, your Toronto Benchwarmers waited until the last two minutes of the 3rd period to finally steal the victory away from their division nemesis – The GRRROWL. 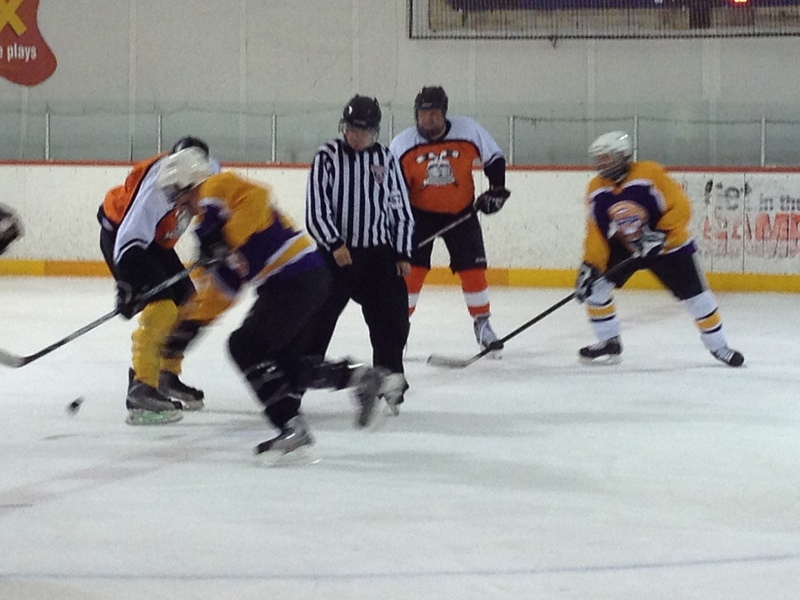 Behind by a pair of goals in the third, the Benchers seemed to be stymied by the surging GRRROWL. But, your team remained calm and focused. With quiet determination every single player on the bench made each shift count until the tide was finally turned. Your reporter wishes that he had a game sheet so he could report who scored what goal when…but alas… it is not to be. So, you will just have to take my word for it that it was a thing a beauty. Three un-answered goals in the late minutes of the period. 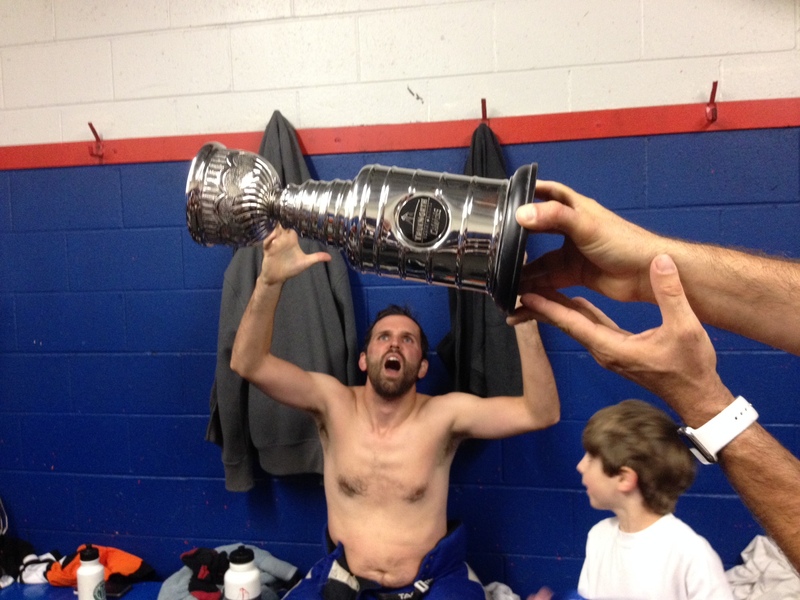 Honestly, if you were writing a story about the perfect hockey win..this would be it! 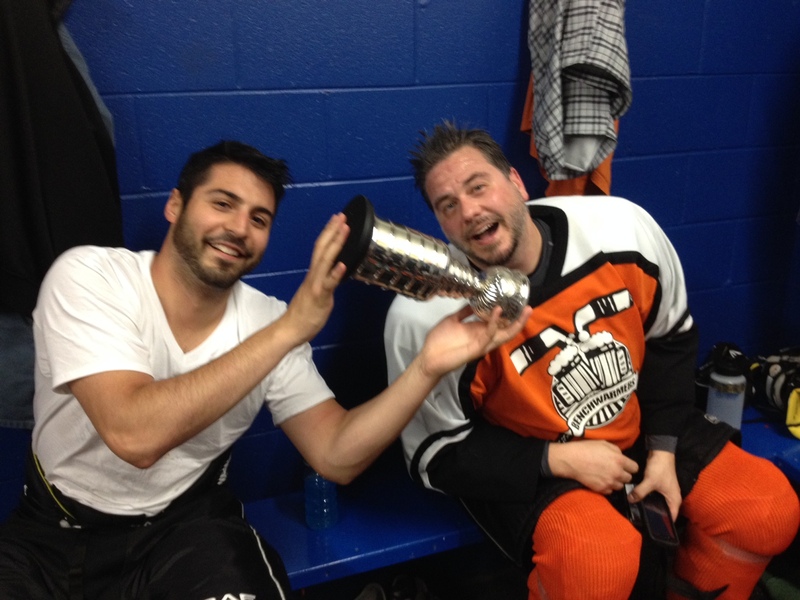 And with this amazing Championship win- the second one in 2015 btw- your Toronto Benchwarmers are gearing up to start the coming 2015-16 campaign. This time they know they will have a target on their backs. Will there be a three-peat? Impossible to tell…especially since most the team still hasn’t bothered to sign the waiver. What the heck are you guys waiting for anyway ? The season starts next week. C’mon – give Captain Mitch a break! And with that I leave you with a some badly taken pics of a group of happy warriors – sorry if I missed anyone! Over and out! Despite taking an early lead in the first, the Benchwarmers drop the second last game of the season to the surging 3rd place GRRROWL. See the game sheet for all the details. With only one game left in the season your Benchwarmers maintain a healthy lead in the standings with 8 wins, 3 losses and 1 tie for a total of 17 points. You can check the official standings by going to the TRUE NORTH web site right here. 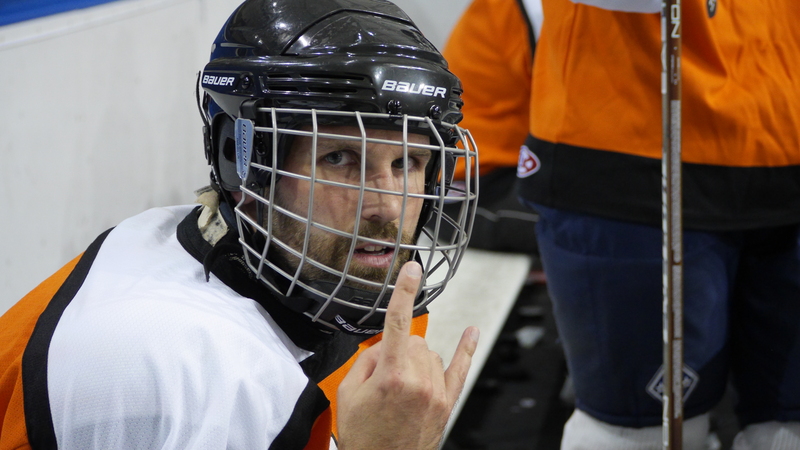 While the game got off to a good start with Jason Ainsworth #3 and Lee Silver #47B potting goals in the first, the Grrrowl were on a rampage in the 2nd and 3rd periods, first tying up the game and then scoring two unanswered goals. While your reporter wasn’t able to attend this match… it is entirely possible that the Benchers are just cruising through the last couple of games saving their best stuff for the playoffs. One more game to go before it starts to get really interesting! NO PANTS – NO SERVICE! C’MON TAKE YOUR BEST SHOT! Tony The Goalie records his second shutout of the season, Jason Ashworth #03 continues his chase to be the league leading points getter while Chris Greaves #10 has an equipment malfunction as your TORONTO BENCHWARMERS record another win. With only a couple of games left in the regular season the Toronto Benchwarmers continue to lead the True North Ellis division. 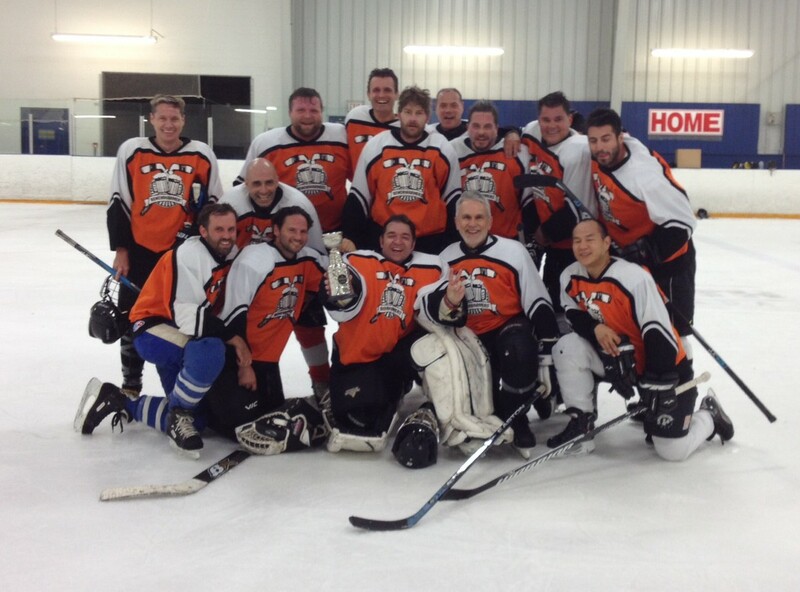 Once again your team took to the ice with with one thing in mind; a cold beer after the game. I mean it’s was hot out there on Monday! Greaves #10 was a last minute scratch due to an equipment malfunction. The equipment in question appeared to be his brain as he managed to leave his hockey pants at home. The Benchers dominated the play from the opening face off with plenty of shots at CYCLONES goalie Andre Darms. His solid play stymied the the team until almost the end of the first when Jason Ashworth #3 managed to push one through a sprawled Darms. In the second period Lucas Farone #85 netted another with help from Captain Mitch # 22 and Steve Oliveria #58. 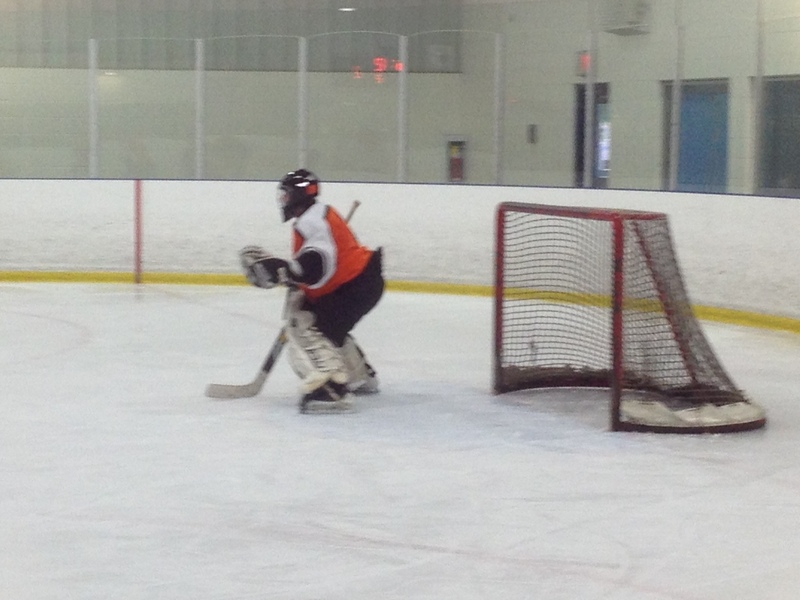 The goalie will never see me here! Although your reporter was not there in third due to another equipment malfunction – his camera battery died – I am led to understand that the Benchers continued pressing right until the end of the game when Ashworth picked up his second point of the night assisting Rob Yoshida #99 – who also had two point night. While your intrepid writer will miss the next game of the season due to other commitments, I look forward to chronicling the 2015 Summer playoff drive. Its gonna be a good one. 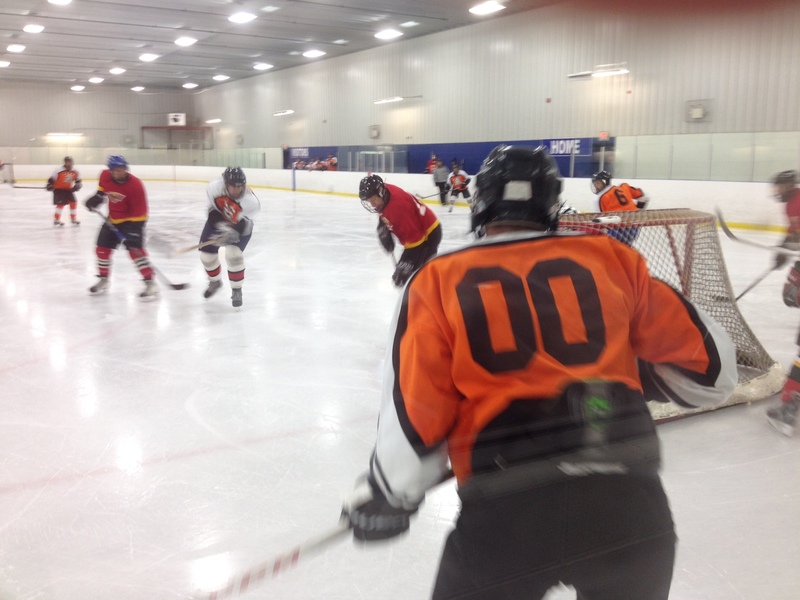 SECOND LOSS OF THE SEASON – BENCHWARMERS MGT DENIES EXPANSION RUMOURS AS TRADE DEADLINE NEARS! See the game sheet for all the details! BENCHWARMERS MANAGEMENT HAS DENIED ANY EXPANSION PLANS FOR THE COMING SEASON – BUT C’MON GUYS WE LIVE IN TORONTO – SO WE KNOW THAT ‘De Nile’ is a river in Egypt! 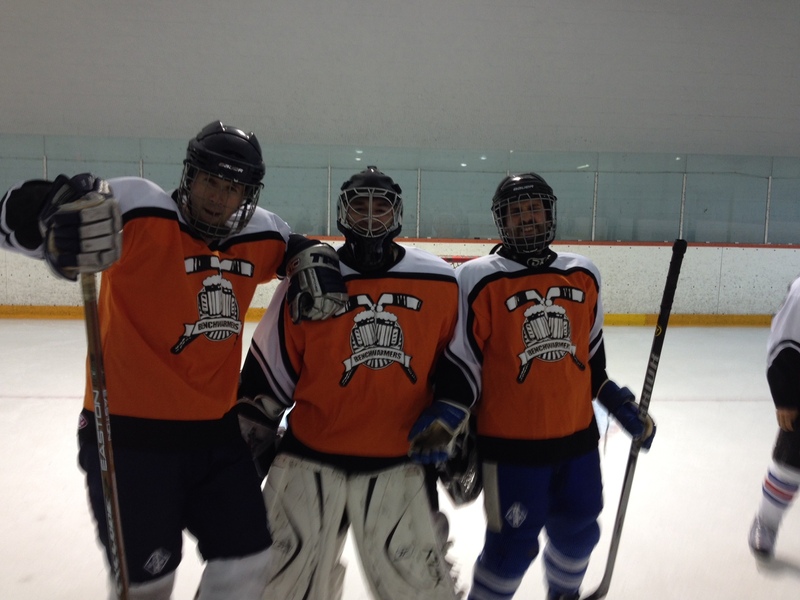 In only their second loss of the season, your Toronto Benchwarmers could not manage to ground the 3rd place Flyers. A high speed, scrappy affair, this was actually the first time these division rivals have played each other. The Flyers came out – well, flying – and swarmed Tony the Goalie with a barrage of quick shots. It didn’t take long before they were up by a goal. Several minutes later on a daring end to end rush, D-man Ed Crummey #6 slipped a pass to a streaking Jon Derouin #00 who was able to put the puck by Flyers goalie Graeme Campbell. The game stayed tied at ones for most of the second period as the benchers seemed a little sluggish and were having difficulty clearing the puck out of their own end. It didn’t help that they were forced to play shorted handed twice in the second period. With less than a minute and a half to go, the Flyers launched another sustained attack and managed to get another by Tony the goalie. Poor Tony must have been feeling a little bit shell shocked at this point in the match – but of course would never show it. At 3:20 in the Third, Ed Crummey let his presence be felt once again with a perfectly placed top shelfer from about 10 feet out. The helper went to Ed’s father Jim Crummey #51, his fifth point of the season. With game tied at 2, the Flyers launched a number of sorties that had your Benchwarmers looking like they were re-fighting the Battle of Britain – only this time, the good guys were losing. 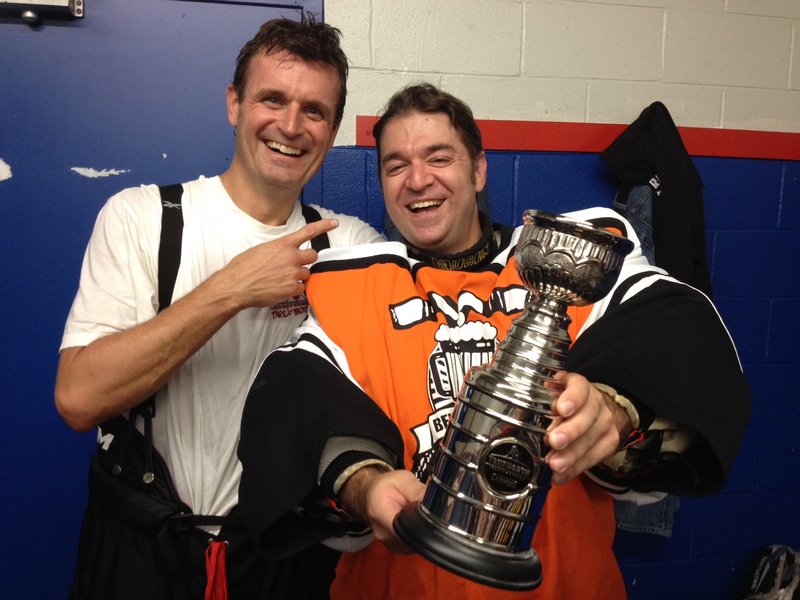 Within minutes of Crummey’s game-tiing goal, the Flyers Marc Foumier beat Tony the Goalie with an erratic rolling-puck slap shot that stymied the stoic net minder. With a valiant effort, your Toronto Benchers mounted a sustained last minute attack with six players but couldn’t find an opening before the game buzzer went. Back in the dressing room your reporter meant to ask questions about the rumoured expansion… but forgot to. 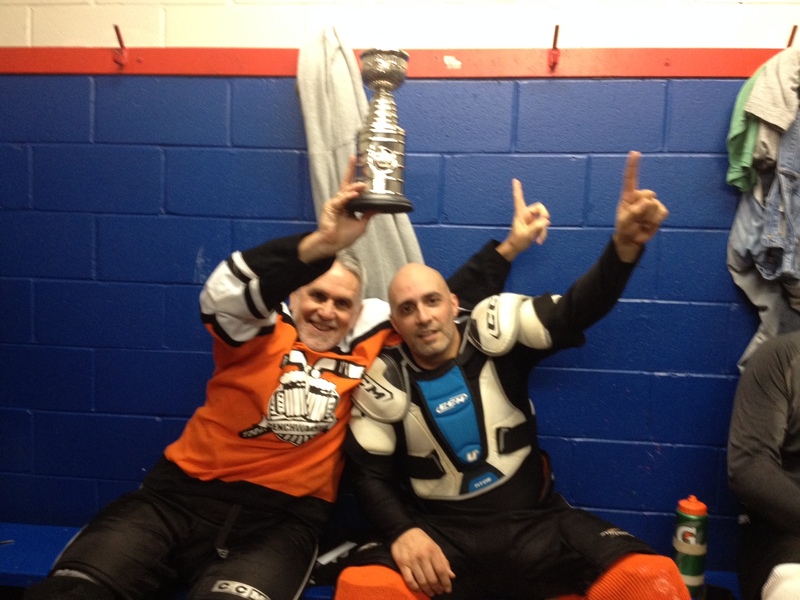 And there are no trades – this is beer league! Bottom line is that there may be a Wednesday Night, Toronto Benchwarmers 2 team. Stay tuned right here for breaking news on that subject… or at least when I get around to writing about it! On another note: Very sorry for missing a report on last weeks game May 29th …but just so you know, even with an incredibly short bench your Benchers managed to pull off a resounding 7-2 victory over the Dirty Pucks. 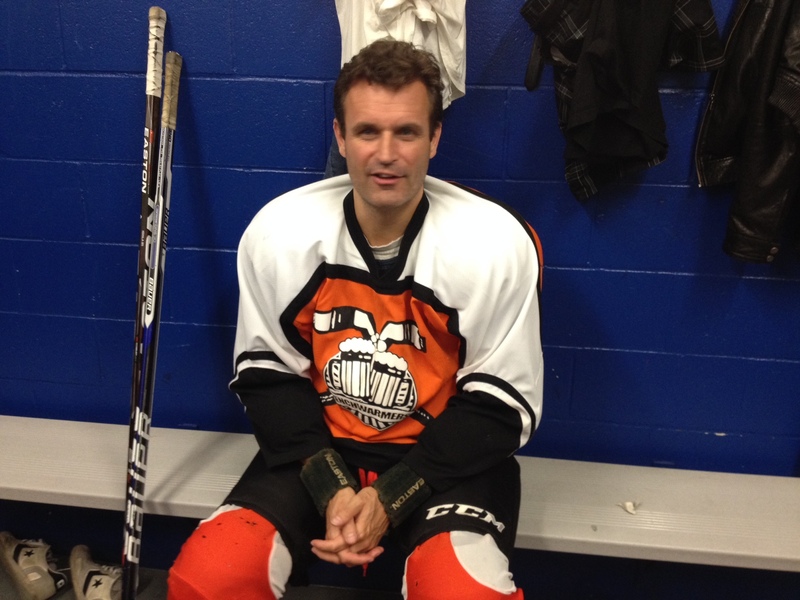 We can only surmise that the remaining members of the Benchers were playing for the TORONTO COUCH-WARMERS that evening…yeah, yeah… 11:00PM games are tough. Chef Jason Ashworth #3 put on a superb display as he sliced and diced his way through the Mighty Pirates top level defence on his way to score his first hat trick of the season. Check out the game sheet for all the stats. 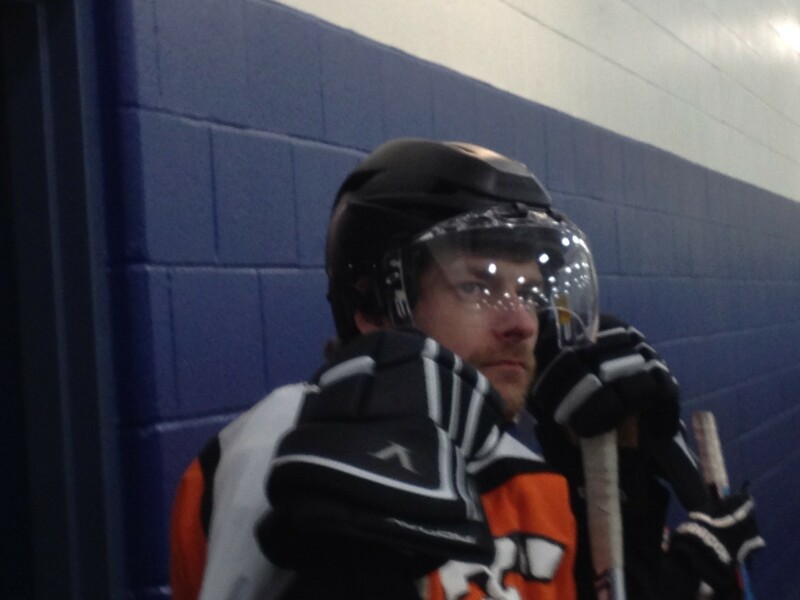 JASON – FULL ON GAME FACE! Not to be out done, your Benchwarmers, who can also boast a father and son pairing, Jim and Ed Crummey, put on a great display of disciplined defence and aggressive offence right out of the gate. An early goal by the streaking Jamey Blatt #12 (his second of the season) set the tone early. By the time the first was over the Benchers had scored 3 unanswered goals. The Pirates seemed to be back on their heels when Edward Crummey #6 made a dazzling end to end rush that resulted in goal midway through the second, although, they did mange to squeeze one by Tony the Goalie very late in the period. By the third, The Benchers took control of the game. Short shifts and pin-point passing had the Pirates chasing the puck through much of the third. At one point the Benchers seemed to be cycling the disc at will deep in the Pirate’s zone. Once again the defence corps of Stancer #33, Becke#4, Chen #18, Crummey #3 and Farone #85 pretty much shut down any offence the Pirate’s could mount. But, the best defensive play of the game goes to Jordan Daniels #7 who’s sliding block in the dying moments of the third was a thing of pure beauty. Your Benchwarmers remain on top of the division with only five games left in the summer season before playoffs begin. Check here for all the details. *Also, check out the MIGHTY PIRATES well written and fun-fact filled web site when you get a chance. HISTORY IS MADE! 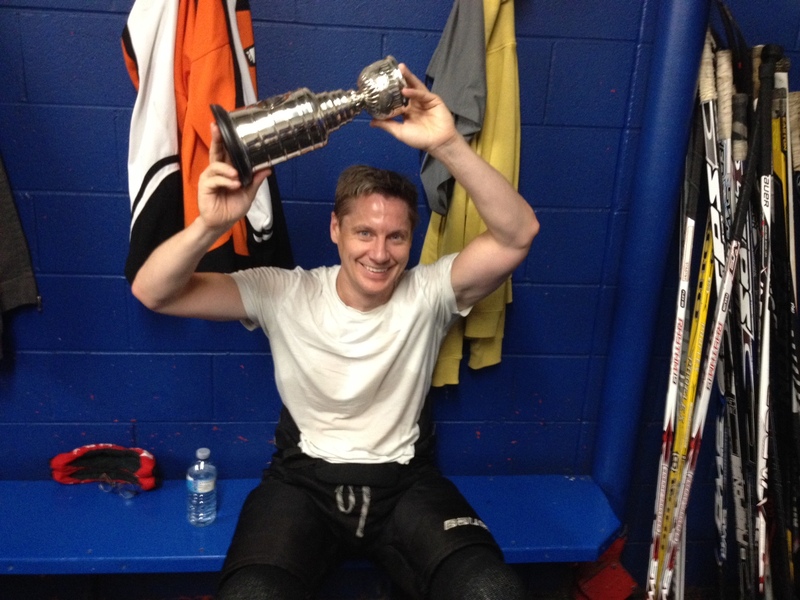 HAWKS WIN 3rd STANLEY CUP – CAMPBELL “Captain Mitch” McLEAN NETS HIS FIRST OF THE SEASON! Holy cow what a night sports fans! While the hockey world focused on a minor game featuring the Chicago Black Hawks and Tampa Bay Lightning, history was in the making in that run down old barn known as Rinx 1. 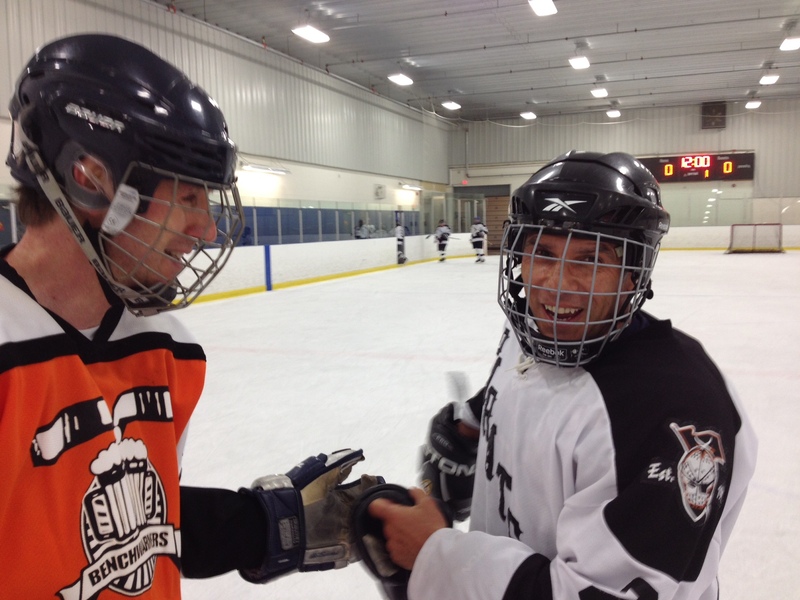 Captain Mitch scored his very first goal of the season as the Benchwarmers steamrolled the short-benched Grrrowl 7-2. Historically speaking, games played this late in the evening are generally not well attended. When you add a potentially season ending “big game” game on television into the mix, you would expect to play with a short bench. But that was not the case with your Benchwarmers. Shortly after 10:20 PM, a dedicated bunch of hockey warriors that included 3 full lines and 2 sets of “D”, jammed themselves into the shortest and grubbiest hockey bench in the GTA. 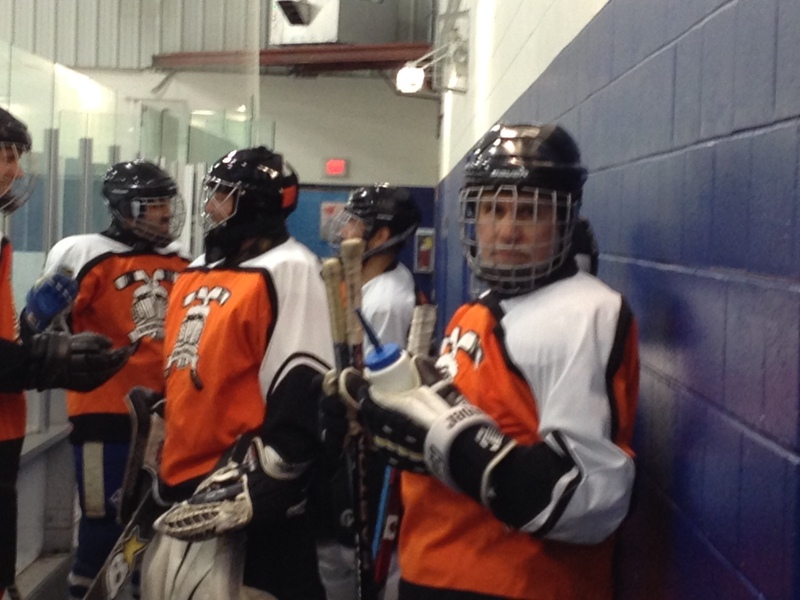 The Benchwarmers continued to roll through the first and second period putting on a clinic of disciplined hockey. Short shifts, tight passing and high energy were the order of the evening. Contributions from every single player kept the momentum going the Benchwarmers way… and then it happened… At 6:22 of the second period, Captain Mitch #22 took a lovely pass from Jason Ashworth #3 and one-timed it behind the Grrrowl’s goal keeper. 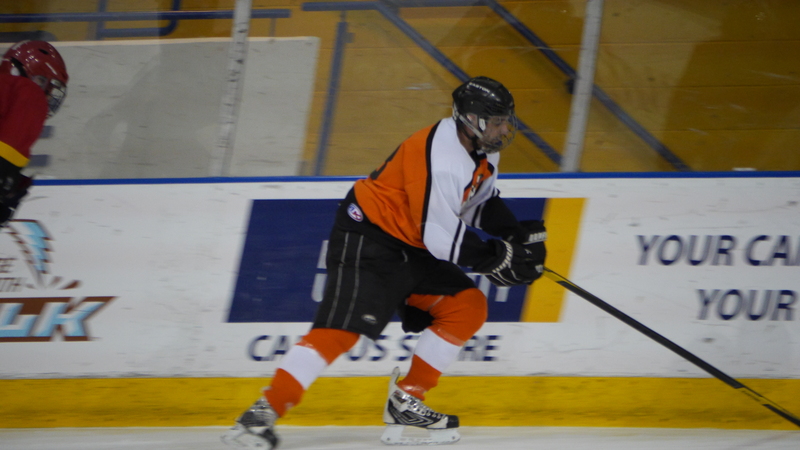 Lucas Faraone #85 was also in on the play that finally got the monkey off the captain’s back. With the lead well in hand, your Benchwarmers cruised to their 5th win of the season securing a first place standing in their division. It was great to see almost every player that dressed picking up a point. It suggests that the Benchwarmers are a well balanced team with a deep bench. Of course… it didn’t hurt that the Grrrowl had an extremely short bench and some undisclosed “flu” like symptoms. But hey …that’s hockey! Wesley Chen makes his first appearance of the season count! 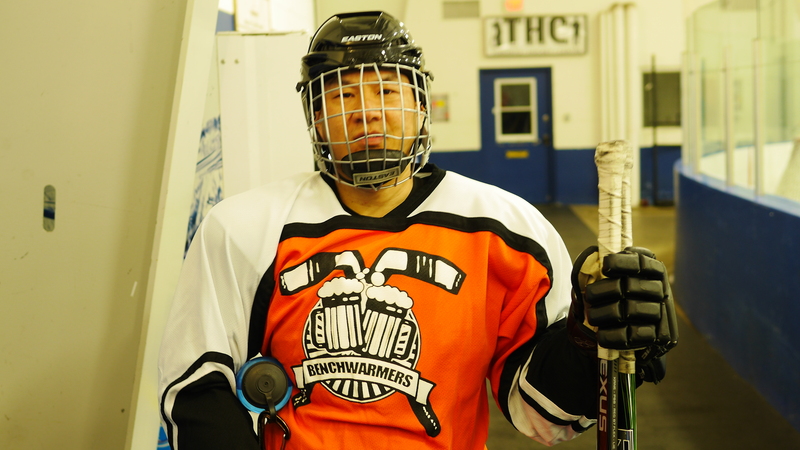 After a remarkable start to the season, your Toronto Benchwarmers (3 wins and a tie), were handed a little dose of reality with a 3-2 loss to the Haymakers. The Benchwarmers came out of the gate very slowly. With a short bench due to a couple of late arrivals, Captain Mitch was forced to make some last minute line adjustments that seemed to throw the game plan in disarray. While both teams were kept off the board by some outstanding goal keeping, it was pretty evident that the Haymakers were controlling the play. Early in the second Jim #51 and Ed #6 Crummy finally made an appearance. But even with the reinforcements on the bench, the Haymakers were still able to control the play. With about three minutes left in the period, they netted their first hard-earned goal. The Benchwarmers went down another goal early in the third and, for only the second time in this young season, were being forced to deal with a two goal deficit. And then it happened. Your writer overheard Jamey Blatt #12 tell Jason Ashworth #3 to “go ahead and score”. With a smile and a nod to Jamey as he jumped over the boards, Jason potted a pretty goal 18 seconds later. Coincidence? Maybe, but all of a sudden it was “game on!”. Your Benchwarmers began swarming the Haymakers’ zone with shot after shot. A couple of close calls and the distinctive ring of the puck hitting the post were indicators of just how close the Benchwarmers came to equalizing the score. Unfortunately, a “pinch” at the blue line resulted in a break-away by the Haymakers’ star player. A perfectly placed a top shelf goal beat Tony the Goalie. He later admitted that at best he had a “50-50 chance of stopping it”. But give your team credit. Down 3-1 with less than a minute left to play, Wesley Chen #18, in his first game of the season, netted one from the point through a mad scramble in front of the Haymakers net.